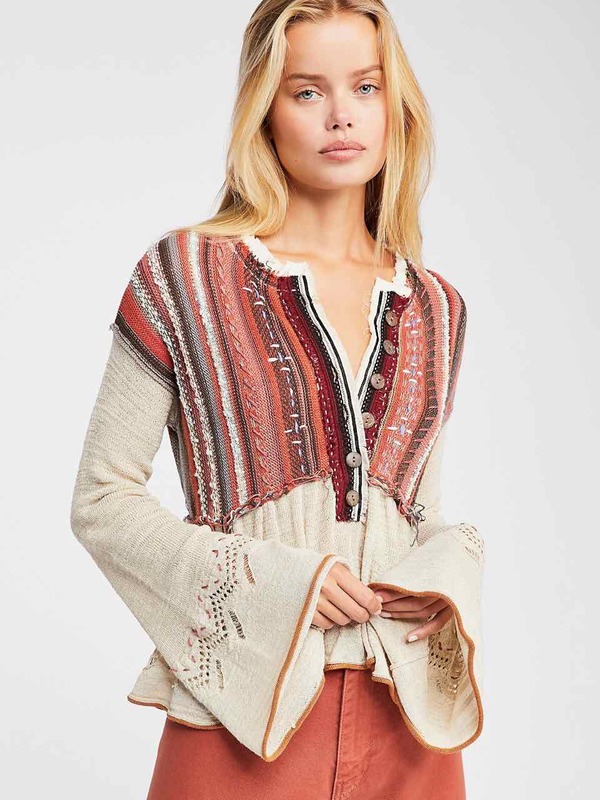 Free People “Meadow Lakes Sweater” – a piece of art cotton blend sweater featuring patchwork design in warm colours, V-neck, long bell sleeves, empire waist with flared hem, raw trims, stitching detailing. Comfortable flattering fit. Gorgeous bohemian style, indeed! 63% Cotton – Acrylic – Nylon – Rayon – Polyester.